Now that Rhys has had SDR, the whole process, decision making and surgery, seems to have happened ages ago – like you’re looking at it through the wrong of a telescope. You know it’s there but it’s all very distant. Indeed, I think with any decision you take in life it’s natural to want to feel like you’ve got it right. Whether that’s the new pair of shoes you bought or spinal surgery for your child – you unconsciously look for reasons to back up your choice. We’ve been back home for a month now and Rhys has changed in lots of ways – it’s very hard not to attribute most of them to his surgery. Have a look at this. 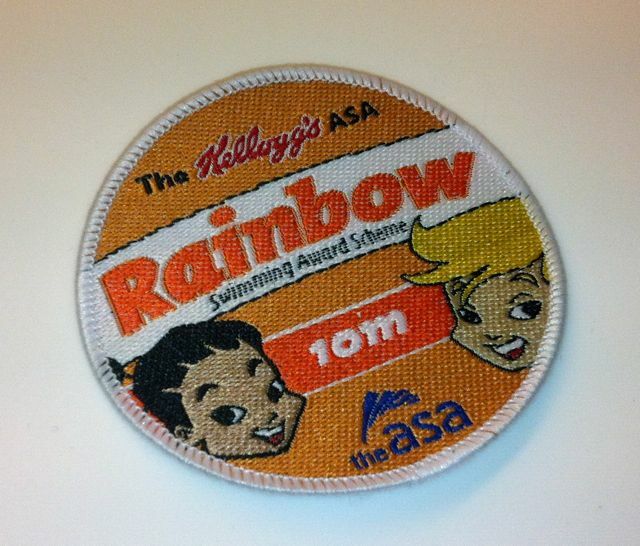 It’s Rhys’ 10m swimming badge. He could swim a bit before surgery (doing the doggie paddle) but in the lessons he’s had this August he’s nailed the backstroke. Here’s a clip. So what’s changed? Now that he can keep his body straight through his hips he can keep his body flat in the water and doesn’t sink like he used to. He can also now disassociate his arms and his legs better. That means he can do different things with his arms and legs now he’s free from spasticity – exactly what you need for backstroke. He’s also getting the hang of the crawl, breaststroke and can do ‘butterfly’ arms. Suddenly, that Paralympian status I wrote about last time seems a little bit less ridiculous. Being better able to disassociate his arms and his legs helps in so many other ways as well. 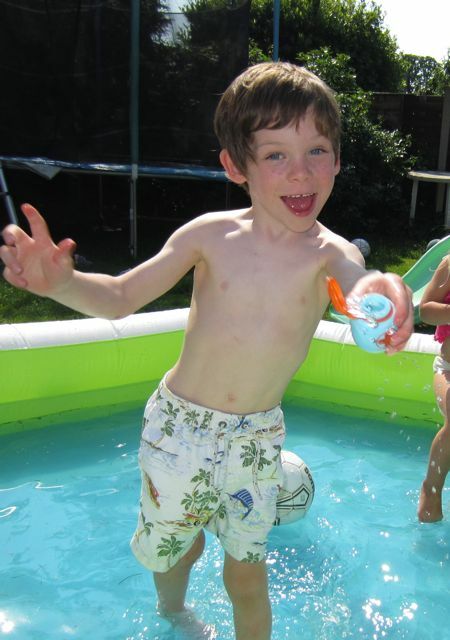 You know those pump action water pistols – Rhys has suddenly cracked how to use one. He can walk, stop, pump the gun, soak you and then walk away. Granted, St Louis is a long way to go to learn to use a water pistol but those skills all seem new – and they should transfer nicely to doing things with tools at school or home. And remember me saying that riding a scooter was too intricate – have a look at this. Now clearly that needs a bit of work but pre op he couldn’t even stand with one foot on a scooter without toppling. He’s also better at climbing in the park (some nice sidestepping around ledges), has nearly managed to get his leg over the banister at home (impressive range of movement there) and somehow since his surgery he just looks more grown up. 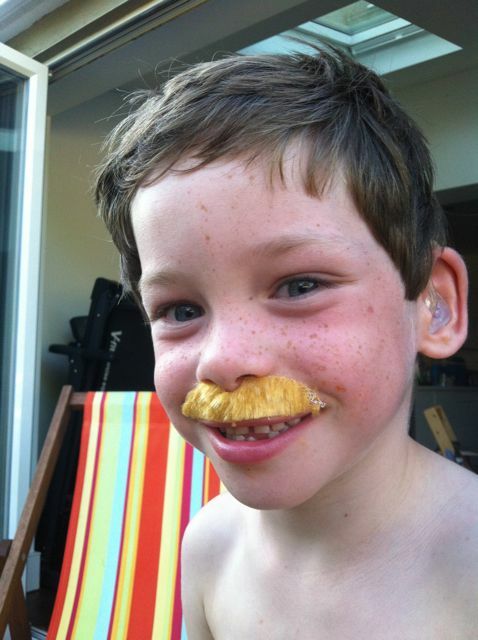 Now I’ll concede that his moustache isn’t a result of SDR but in so many ways Rhys’ mobility has improved in such a short space of time it’s almost unarguable that surgery has been good for Rhys. What’s also now clear is that Rhys will need another round of surgery to lengthen his heel cords as he hasn’t recovered quite enough range of movement to walk with completely flat feet. This isn’t a big surprise for us but we were hoping to avoid it. It’s a much less invasive procedure and Rhys is scheduled to return to St Louis for this in October. The astute will have realised that this coincides with the finals of the BBQ championships in St Louis but I can guarantee that it’s a coincidence and I won’t be packing my tongs. Promise.